Two timbers from Mexico. Cocobolo (top) is an extremely dense rosewood, even heavier than Ebony. Easily as beautiful is Ziracote (bottom). Joep travelled from Austria to play this guitar. The armrest is smooth and comfortable, making the conventional guitars feel quite unpleasant. 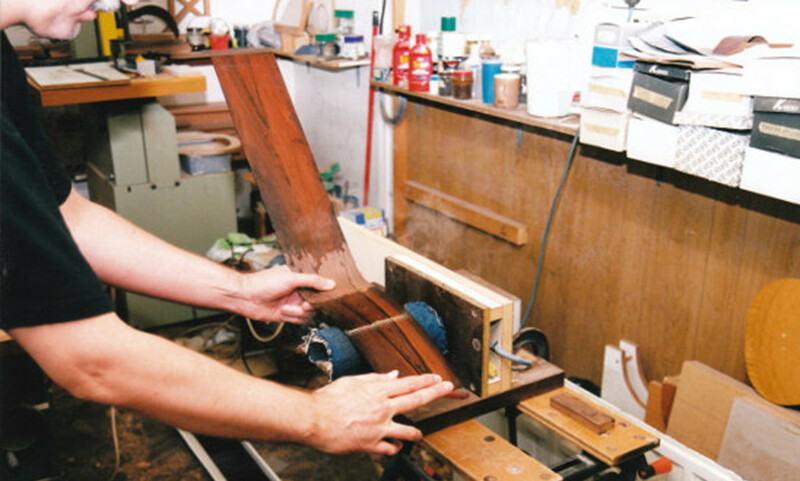 Steam-bending a set of ribs in Rio Rosewood. 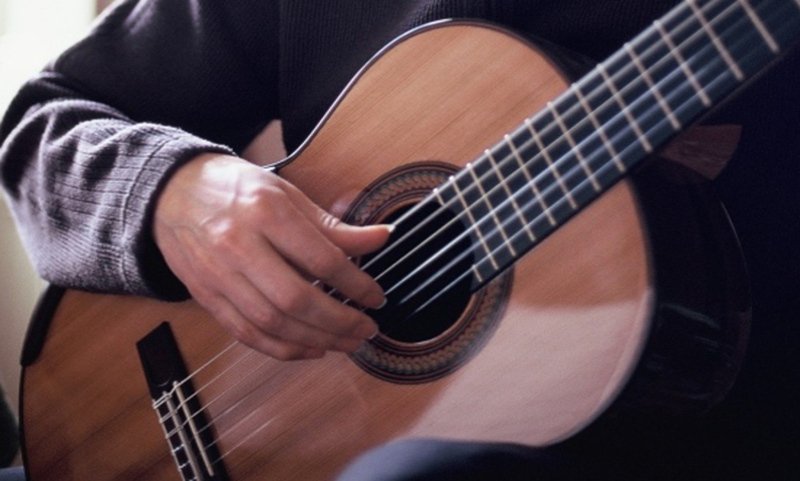 Classical guitars utilizing the revolutionary Smallman principles of construction. Looking quite conventional on the outside, with the red cedar soundboards married to rosewood or other tropical hardwood bodies. In November 1994 I heard Craig Ogden in concert. He later let me play his Smallman guitar. I've never been the same since. Rigid and heavy back, sides and neck minimize energy from the strings being 'lost' out of the system. A light (but very strong) lattice network allows what energy has been preserved to excite the lightweight soundboard in a more efficient manner. There is sometimes a small waiting list - lattice braced guitars take three times as long to build as a conventional guitar. I try to keep a demonstration instrument for people to play in the UK. These features deliver improved volume, sustain and tone compared with conventional construction methods and make the guitar very comfortable to play. 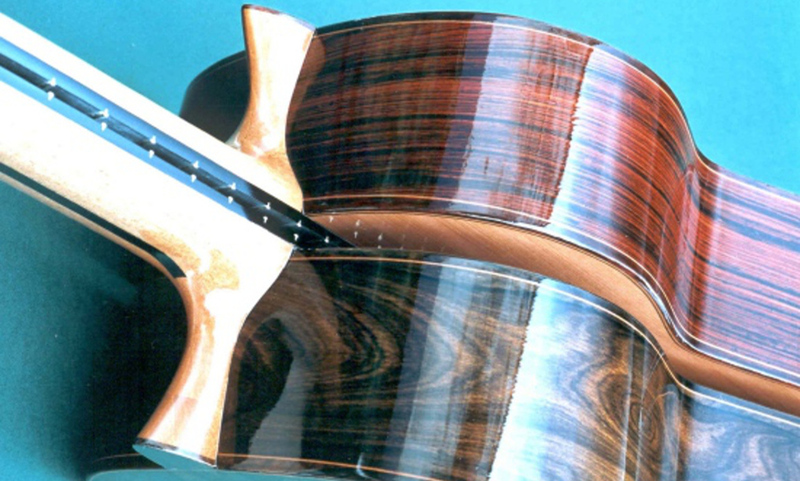 Craftsman-built classical guitars utilizing the revolutionary Smallman principles of construction. 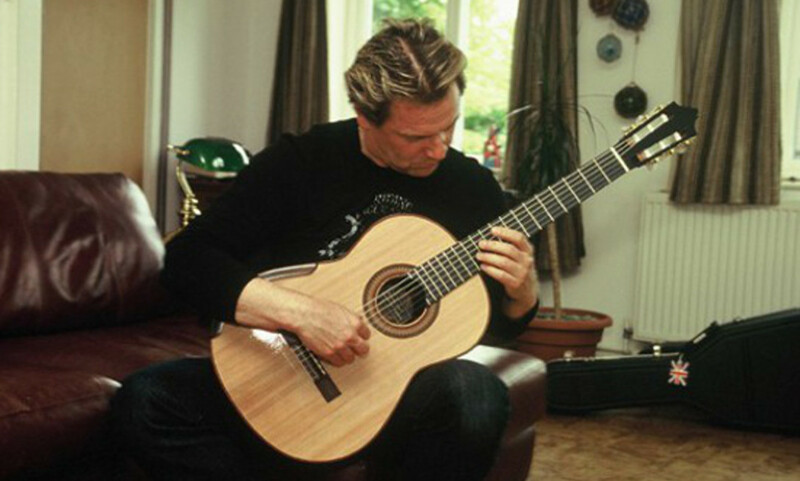 Transcript of an interview which was part of the Kaza Suwa Classical Guitar Luthiers Compendium project. Details on how to order a Nicholas Scott Guitar are available here. Copyright 2014 Nicholas Scott. Website by Peter Campbell-Burns. Template by Azmind.